Avoid the question, “But who goes first?” when students are going to play a game. 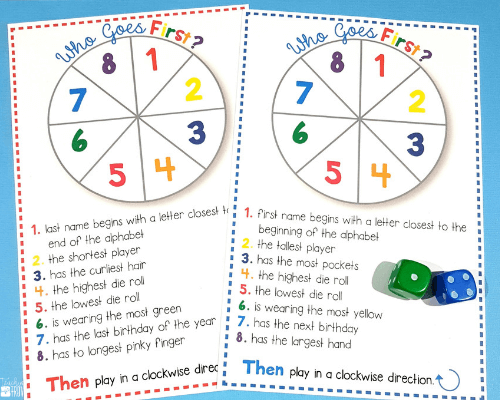 Grab these two “Who goes first?” spinners to simplify the task of deciding who goes first in classroom games. Subscribe to the Treasured Teachers Crew and get these two spinners plus the password to my Teaching Treasures Library.